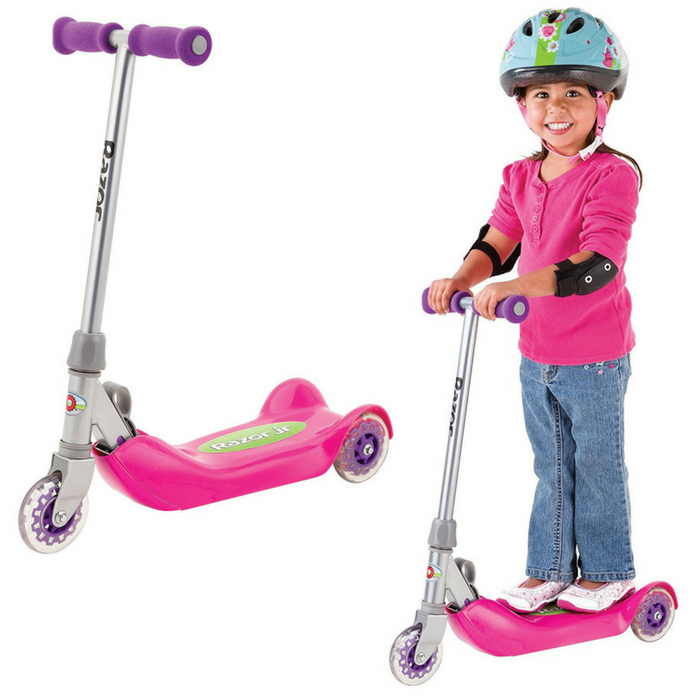 Razor Kick Scooter Just $21.13! Down From $45! You are here: Home / Great Deals / Amazon Deals / Razor Kick Scooter Just $21.13! Down From $45! Head over to Amazon to score this Razor Kick Scooter for just $21.13 down from $44.99 PLUS FREE shipping with Amazon Prime or for orders over $25! Designed for young riders, the Razor Folding Kiddie Kick scooter features a three-wheeled design that helps build coordination and maintain balance. The wide polypropylene deck is slip-resistant, and a new folding mechanism allows easy storage and transportation. Intended for children ages 3 and up. Awesome gift!